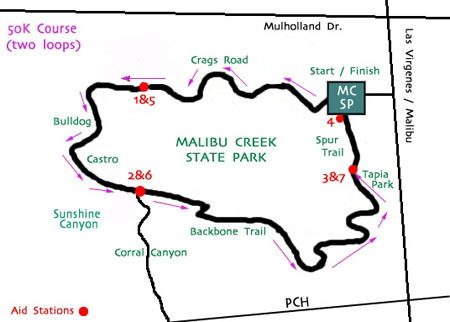 Working closely with the park rangers, we've come up with a course that preserves the beauty and challenge of the race's history, and will be favored by the runners, who have been fans of the race for many years. 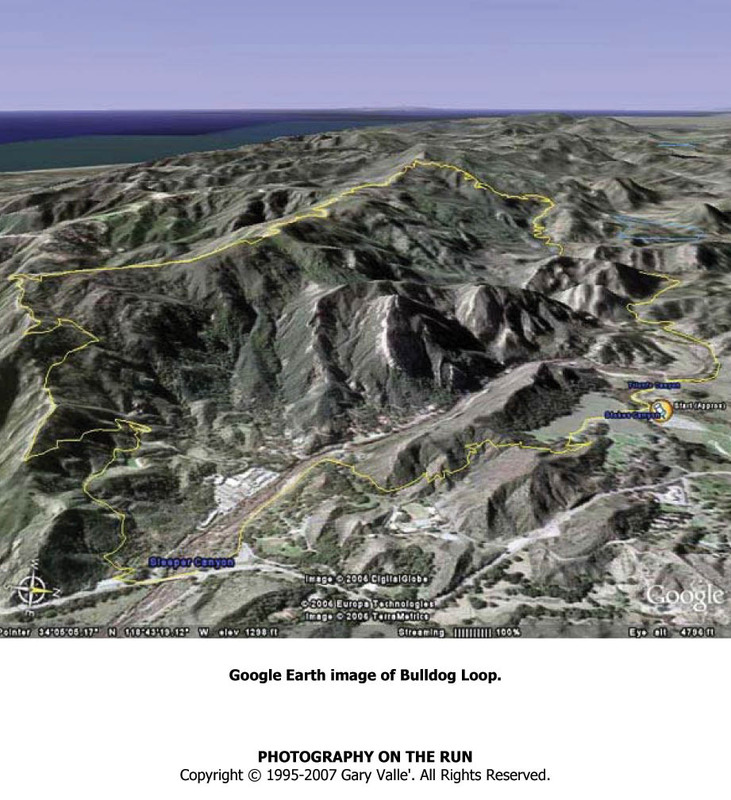 This aerial view gives a good idea of the terrain for the Bulldog course. The race is run in a counter-clockwise direction. Start and finish at base camp. 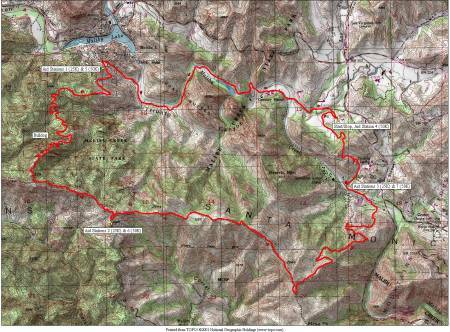 This is a double loop course in mountainous terrain, with 22.7 miles of fire roads, 8.0 miles of single-track trails. This includes two 4-mile climbs up Bulldog Mountain to 2,528' elevation.